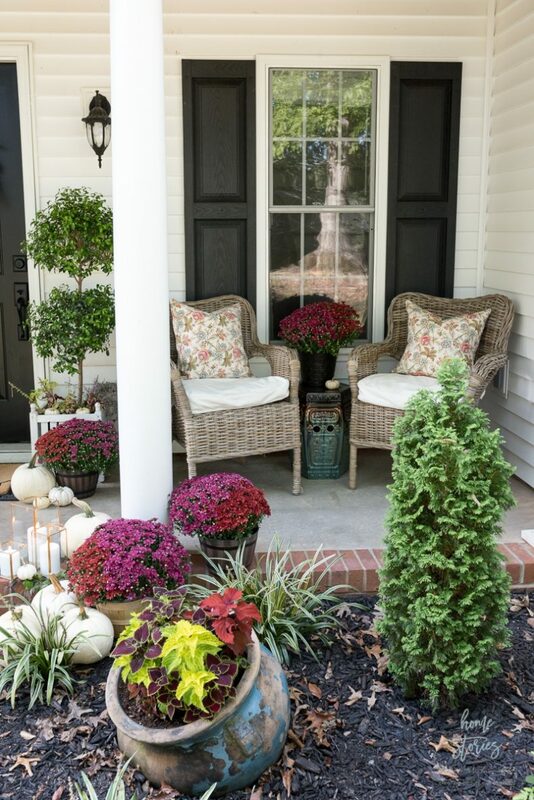 Even if you don’t consider yourself “crafty”, you can do this 5 minute decorating hack! Learn how to make napkin pillow covers in just a few minutes. Hi, my name is Beth and I am happily addicted to toss pillows. 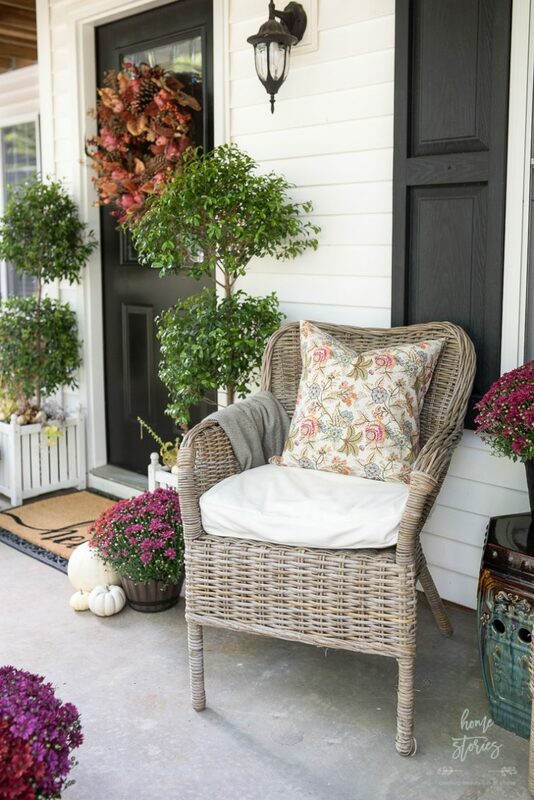 Perhaps my obsession with toss pillows is merely a more sophisticated/grown-up version of my childhood need to cover all furniture with Strawberry Shortcake and Cabbage Patch Dolls? Whatever the root cause of my pillow hoarding tendencies, I have no intention of stopping! However, I do implement a few pillow cover tricks to save money and cut down on pillow storage. My favorite trick is the napkin trick! I know this isn’t a new trick. My napkin pillow days have been going strong since my college apartment years–which was over 20 years ago!  I remember hand sewing two bandanas together to create cute bandana pillows and buying Pottery Barn napkins as a newlywed to create more affordable pillow covers. It’s an old trick that never goes out of style! Step 1: Place two napkins pretty sides together and sew along three sides. If you don’t own a sewing machine, use fabric glue and glue the seams together. Napkins already have a finished seam which makes them incredibly easy to sew. 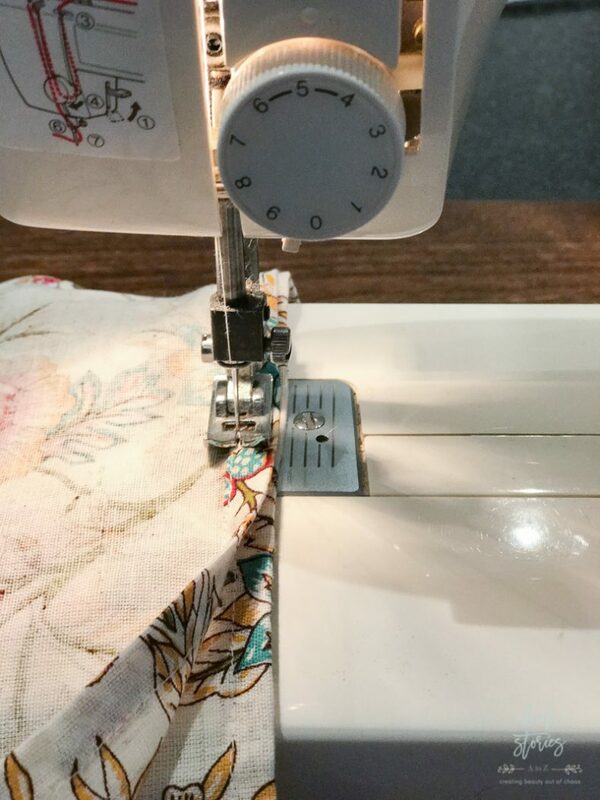 Simply follow the sewn seam with your sewing machine leaving one side open for the pillow insert. Step 2: Turn your napkin pillow cover right side out. You may need to use the eraser side of a pencil to poke out all four corners. Step 3: Place a pillow form in the pillow and place the unfinished side of the pillow downwards. Wait a minute. Aren’t we going to finish the open end of the pillow somehow?! Nope. Not today friends! You most certainly can sew it closed around the pillow form, or get fancy and add a button, zipper, or ribbon closure, but I’ve found that it’s really not necessary. 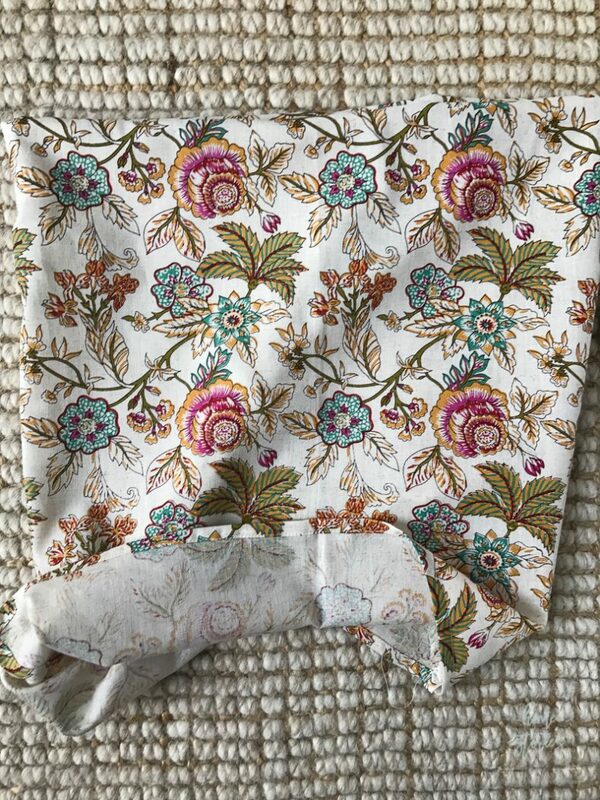 This is like a top-down pillowcase for your toss pillows and with a little tuck around the bottom of the pillow it stays in place nicely, and is easy to remove, wash, and store when needed. And that is all there is to it! It took me much longer to write this post than it will for you to create on pillow cover. Let me know if you’re new to this trick, or if you’re a fellow napkin pillow aficionado! You might also like to check out these other toss pillow tutorials! 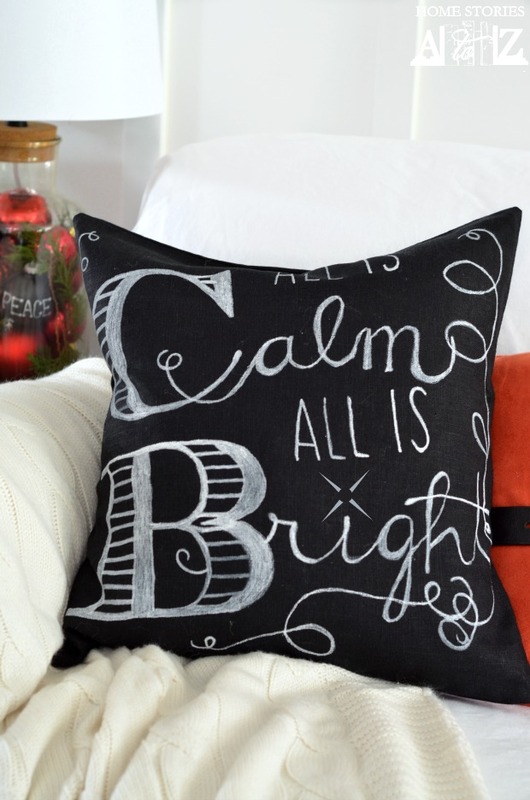 Check out this post to create your own pillow cover chalkboard art! 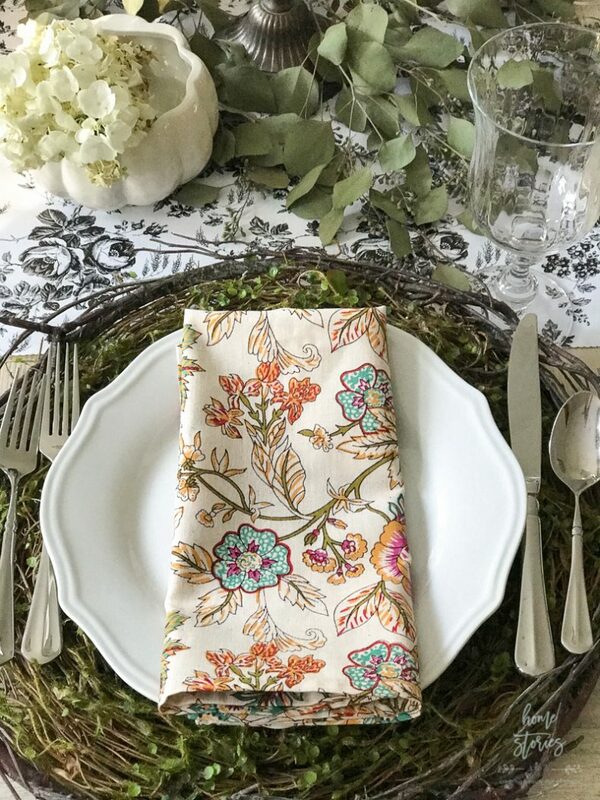 Here is another great post showing How to Create Napkin and Placemat Toss Pillows. Brilliant tutorial! And I love the fabric choices! Very cute! Beth I must admit, when I first read the title of this blog post I was a little confused. This is down to the fact that the napkins I use are more like tissues! I wasn’t sure how they would make good cusion covers haha! However, your napkins make WAY more sense, and what a good idea they are! How did you first come about this trick? Did a friend recommend it, or did you come up with it yourself? It certainly is a thrifty way to have pretty covers but on a budget! And them being easy to wash is a massive bonus. Yes, this obviously only works on fabric napkins. 😉 As stated in my post, I’ve been implementing this trick since my college apartment days and came up with the idea on my own back then. I don’t claim to have originated the idea of course, because great minds think alike! It’s a great trick to remember. Nice work coming up with the idea Beth! Even if it doesn’t 100% originate from you, you still thought to do it off your own back. That’s innovation right there 🙂 And college students sure need to get thrifty with just about everything in their college lives aha!